Is Liverpool’s season over? No. Of course it isn’t. But it’s been seriously, seriously damaged by Sadio Mane’s hamstring injury, which will keep the Senegalese winger out for six weeks, which could mean anything between 10 and 12 games. Mane, alongside Coutinho, is our best player – but just when we badly need a good result to get out of our current rut – he’s going to be unavailable to us. Our next three games are utterly crucial. We play Manchester United at Anfield, where a loss will effectively see us out of a title race. Then, it’s Maribor, where if we don’t win our chances of Champions League qualification will become more difficult. Then Spurs, a rival for the top four, if not the title. 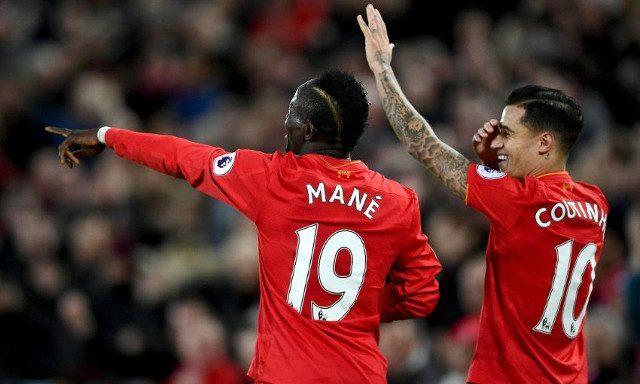 Mane is arguably the first name on our team-sheet, but now, we expect Coutinho to take his spot on the left wing – meaning Jurgen Klopp will have to fiddle with his midfield three. Liverpool need to handle Mane’s injury in the same manner which Saturday’s opponents United have handled Paul Pogba’s. Jose Mourinho hasn’t moaned but backed the squad players to fill his gap, and so far, they have. Now, it’s time for Alex Oxlade-Chamberlain to prove he’s worth £35m and a regular spot in Liverpool’s side. It’s time for Adam Lallana to return to health and show why he’s one of the Premier League’s most underrated creators and its best midfield presser. And it’s time for Roberto Firmino and Mo Salah to start finishing their chances on a much more regular basis. Good job we brought in enough quality in the summer to cope them wasn’t it James…. hang on wait !! !